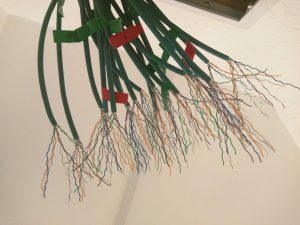 When I moved into my new house, I knew that I wanted hard-wired Ethernet networking in every home. 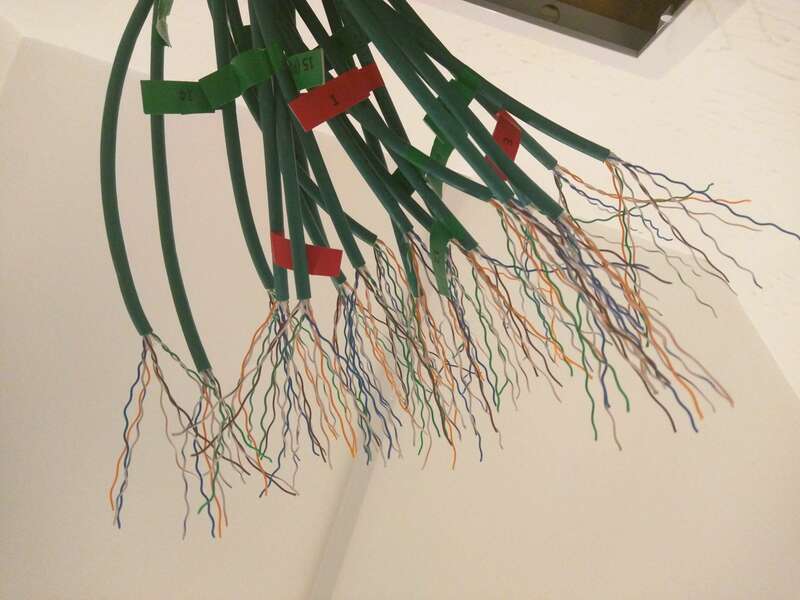 Ethernet cables provide much faster speeds than Wi-Fi and are much more secure. I wanted the cables to future-proof my house, so I decided to go with Cat6 cables throughout. 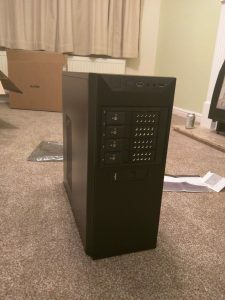 All of the cabling, wall outlets and keystone jacks were purchased from Blackbox – I decided if I was to do this work, then I should buy quality components, I found Blackbox to have some of the best quality components I could find. I had to lift some floorboards on the first floor and in the attic as this was the route I planned to run the cable. Because the house is fairly new (10 years old), the floorboards used long pieces of chipboard rather than the standard panel boards we usually use in the UK. After running the cables in place, I routed them into the understairs cupboard. I found using a ‘Cable Rod’ was the easiest way to pull wires through the walls. One important thing to do is to always number each cable run at both ends, this will make testing much easier. Each of the wall outlets had to be tested. Luckily everything worked fine and only a couple wires on the patch panel had to be re-done. I decided to use the T-568B wiring scheme as this is the industry standard. I recommend using a testing tool and good quality KRONE punch-down tool to ensure you don’t have any issues. What is in the rack? 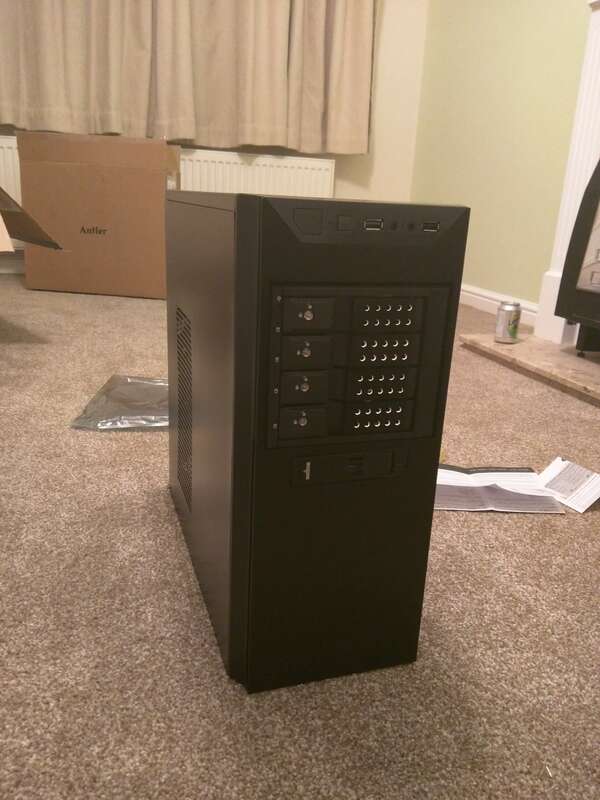 I purchased a new short depth 6U rack cabinet. It wasn’t already pre-built so I spent some time building it and marked out where I wanted my equipment. 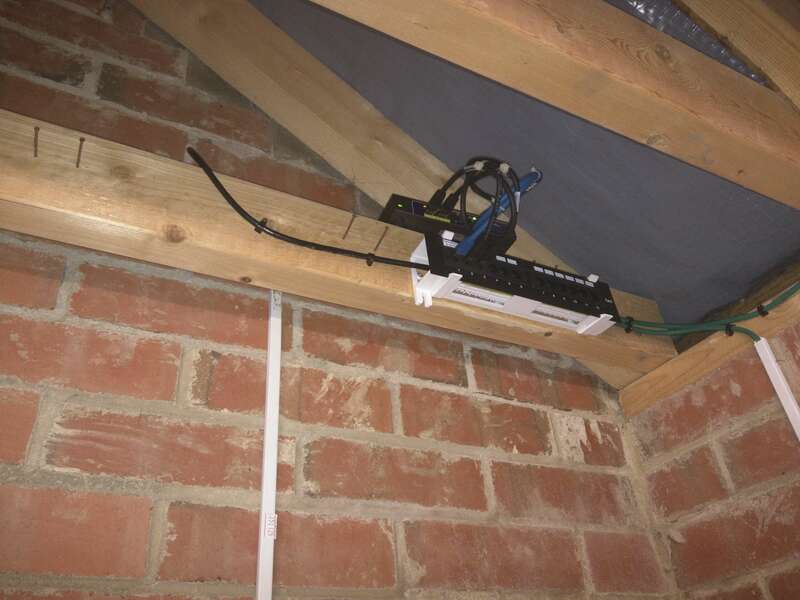 As you can see from the photos below, the patch panel which terminates all of the wall outlet cables is not included in the rack – Instead I mounted the patch panel using a Startech 1U wall mount bracket installed into the access panel I fitted. All of the wires terminate here and then fed into the rack using additional CAT6 patch cables. The results of this work has been shown in an increase of transfer speeds. I can now also take and receive calls in two rooms and the garage and transfer data quickly between streaming boxes, computers and the server. 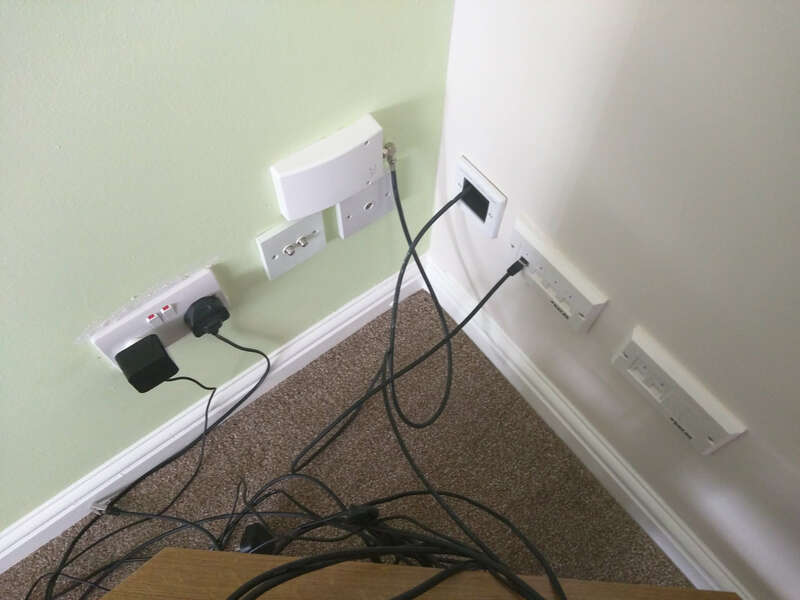 The work has been tough to integrate the cables into a newly built home like mine, but if you have the opportunity to run cables in new build home then you should do so! Hi Thomas, it’s not too bad. The cupboard can get a little hot, but not too uncomfortable – it never reaches more than 25 degrees, even in the British summers. Sometimes I leave the door open overnight to let the heat escape. I have thought of adding a vent on the wall to help the air circulate, but it’s not needed. Nice write-up Ryan, really appreciate the links. 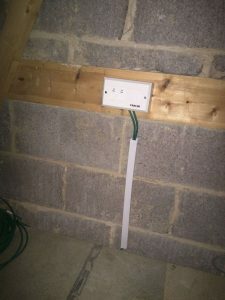 My house was recently stripped back to first-fix, so I took the opportunity to run dual-coax and a CAT6 to every room. I just ordered the coax multiswitch (EMP-Centauri MS5/24PIU-6) for the attic, and have still to get the PoE and non-powered ethernet switches. Can you share some details on the PoE IP phones you went with? Thanks. Hi Owen, thanks. I decided to go with a couple of Linksys SPA942. These Linksys branded models allow me to use Asterisk over SIP. There are some identical Cisco models but these would require the firmware re-flashed to work with SIP. The Linksys models pop-up now and again used on eBay, I’ve heard people have had good experience with Grandstream and Yealink models too. I’ve been thinking of doing the same in my house, also about 10 years old. How did you run the cables in the walls? I was going to use the old TV Aerial sockets but I think that cable was fixed in the walls so can’t pull it through. did you have to chase out any walls or just pull it all through to the loft? Thanks for the detailed post very helpful. Is this something a total DIY ameture can do ( as I’m getting the house refurbished I might try this) or does it need an electrician? If an electrician do they need to be specialised in this or is this something they do regularly? Also how much did all the cabling and equipment cost (a breakdown would be appreciated but a overall total will do). If you’re confident at this type of thing, then yes an amateur can do it. Or, if you want an electrician, try and find one which has done this type before as the ends of the cables will need terminating to wall jacks and RJ45 plugs. 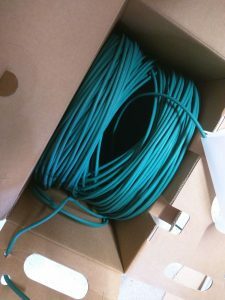 A box of cat6 cable cost me around £100 and wall jacks around £3 a piece. I’m at the early stage of a new house build and plan on installing my own home network. I’m reasonably IT literate but wondered what your shopping list might look like if you were in my position? 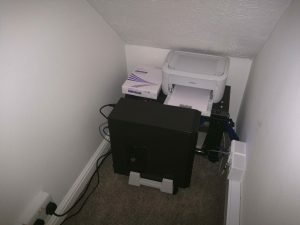 The incoming BT line will terminate in a room near to my boiler so I have space for a small rack and I’d like to run a mixed wired (POE preferred) and wireless network across the house. Already looked at a ground floor and first floor TP gigabit switch and a TP link cable router but wondered what else you had considered when you chose your parts? 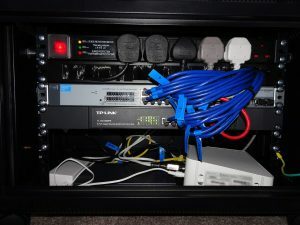 If you’re only running one PoE device, you might be better buying a PoE injector rather than a PoE switch, although a PoE switch will give you better flexibility in the future. 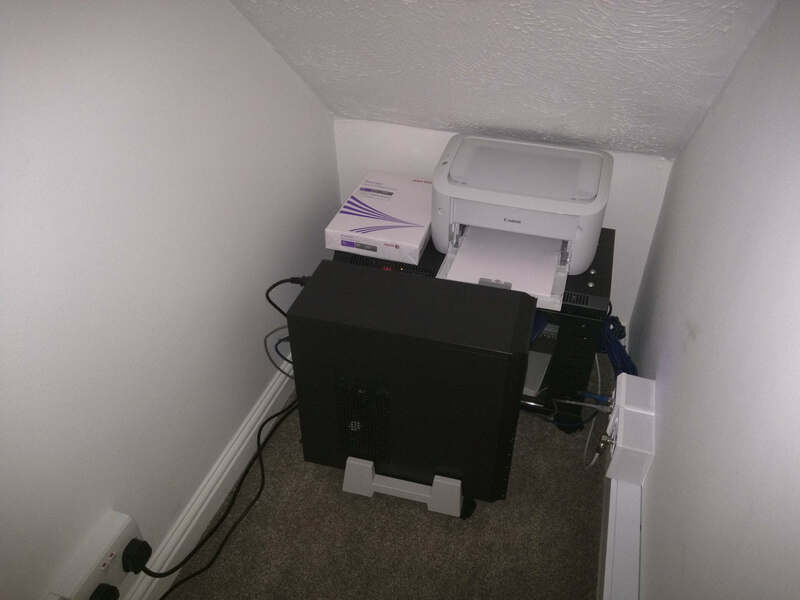 For wireless access points, I’m running this TP-Link model: https://www.amazon.co.uk/TP-Link-Wireless-Controller-Software-EAP225/dp/B01LRQW0GM/ and have been quite happy with it, Ubiquiti access points are also very good but slightly more expensive – my router is a separate box. Just make sure you have some good quality solid cable for your cable runs, along with some cable punch down tools – you should be good to go. I found your I blog very informative. We having anew build house and wanted to run cat6, our house is large 6 bedroom and 4 lounges and 2 kitchen. How much is approximate cost to have this cable installed by Electrucian in all our rooms? How much should someone charge for this amount of work? Hi Kelly, I’m not sure about the costs, as I did the work myself. It cost me around £150 for the cable and wall plates. You might be better off getting multiple quotes from electricians, I have successfully used https://www.mybuilder.com/ in the past. Thanks. Thank you for an excellent write up…very informative. I don’t have a topology on hand. But everything goes through the main HP ProCurve switch. Virgin Media Modem (bridge mode) > TP Link Router > HP ProCurve switch. 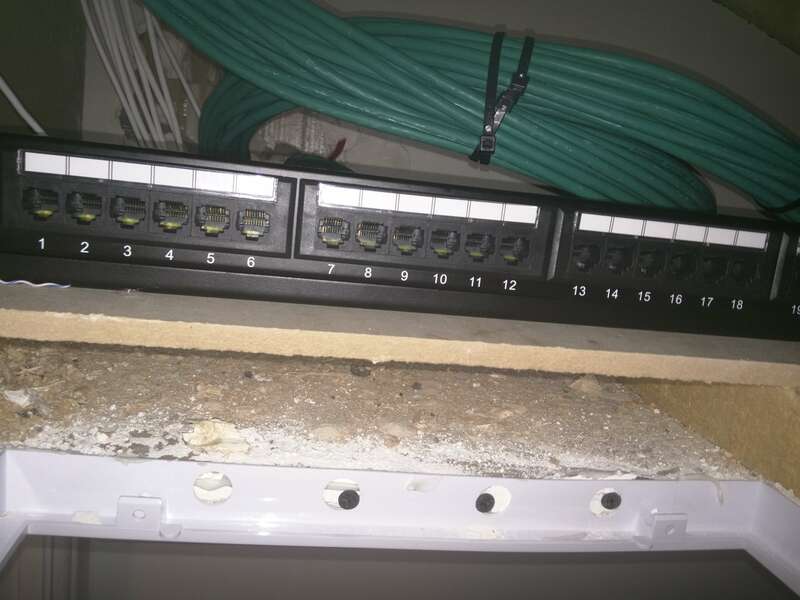 All wall jacks go to a patch panel which are then fed into the HP ProCurve switch. 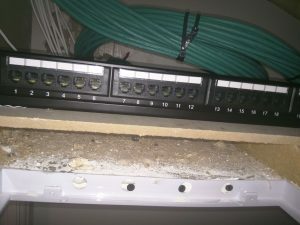 As for POE devices, these connect from the patch panel into the TP-Link POE switch, which then connects to the HP ProCurve switch. I’ll try and get a topology posted, it’s a good idea! Really good job you’ve done there. How much cable slack did you leave at each wall point and at the patch panel end? Thanks, there is about 12 inch of slack at the wall outlets, and a a couple of metres at the patch panel. Good article. 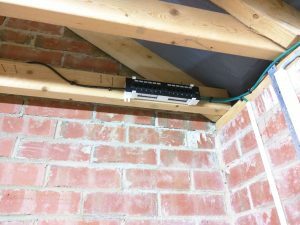 I’m currently renovating a 3 bedroom house, and have run Cat5e from all rooms, with around 5 running from living room TV location. (smart TV, Sky, Xbox, etc!). All cables are running to my ‘Comms cupboard’. Did you use a patch panel purely for neatness into your Switch? I had planned to terminate directly into a switch in the cupboard. I’ll have an Openreach FttP ONT (fibre modem, as I’m sure you know!) presented in the cupboard, going into the switch and distributing to all the ethernet outlets. Excuse my ignorance but why would you not do everything as POE? No real reason mainly because I already had bought a standard non powered switch, and felt it was easier and cheaper to just add a PoE switch to the setup. I would love to have a 48 port POE switch that I could use to peer everything, but they’re quite expensive. Hi, Just wondering how you identified the correct walls, in terms of hollowness? my understanding of interior walls is limited but I believe stud walls have solid wood running horizontally at the top and in the middle of the wall? you also mention lifting the floorboards… was this how you routed the cable between floors? It was tricky, mainly the issue with internal stud walls is that there is a horizontal block going across. The easiest way I found was to lift the floorboards above where the stud wall is and check for to see if the path in the wall is clear by using a cable rod, using a stud detector tool helped too. I found the cable routing was best when ran across the ceiling, then dropped downwards. For the upper floors, the cables were routed to to the ‘loft’ and then dropped down from there. Our house is fairly new, being built in 2000. These methods really do depend on how old your house is. This video by Lawrence Systems might be helpful too: https://www.youtube.com/watch?v=R5XePwAO4m0 – They use a couple of different methods. 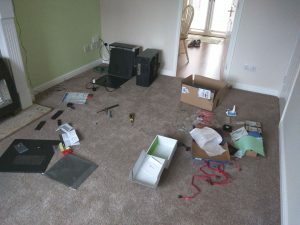 Thanks Ryan, its under construction as we speak – regrettably “health and safety” prevented me from getting on site while the walls were open… though the house wont have any carpets so I should have easy access to the floorboards! I’ll take a look at the video. Yes, I always think it’s silly health and safety prevents you from going on site, I can understand why they do it though. I hope it goes well for you! 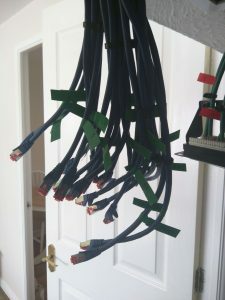 Looks really good, apologies in advance however have you got a tools required to do this such as a drill, what drill bits you used, crimping tool for terminating the patch panel etc ?? For drill bits it really depended on what I was drilling into, mainly wood bits and plasterboard saw. 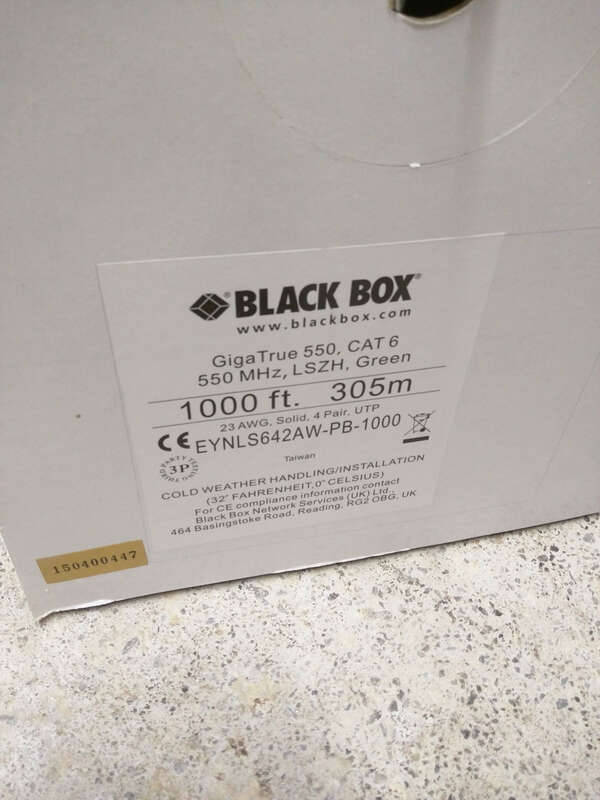 The cable from Blackbox I used is here, https://www.blackbox.co.uk/gb-gb/fi/1235/11408/GigaTrue-CAT6-bulk-cable-UTP-550MHz-solid-PVC/, wallplates here: https://www.blackbox.co.uk/gb-gb/fi/1250/13210/LJ6C-Adapters,Face-Plates-and-Back-Boxes/ and keystones: https://www.blackbox.co.uk/gb-gb/fi/1250/12024/GigaTrue2-UTP-Cat6-Keystone-Jack-110-Punchdown-Type/. The Blackbox products are quite expensive, but really good quality. The patch panel was just a simple 1U version rated for Cat 6 from eBay/Amazon – there are loads out there.